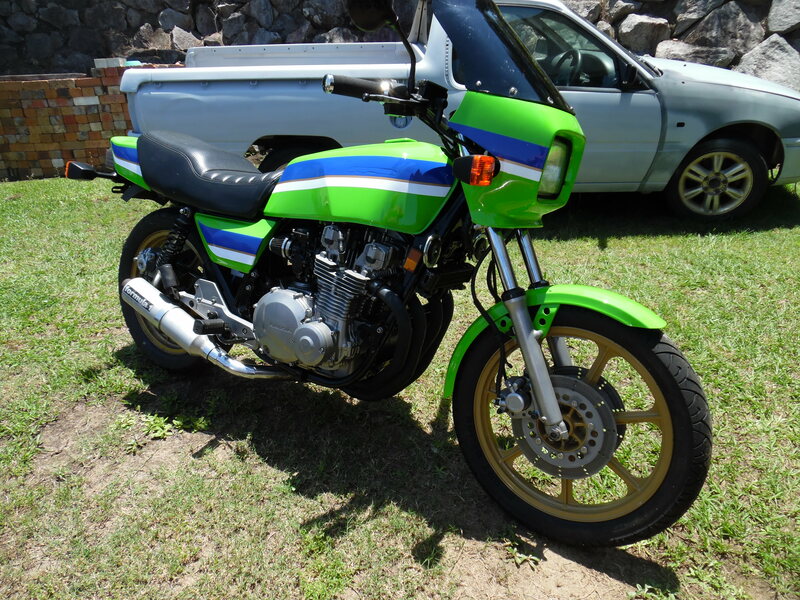 Finally the GPz1100 has passed roadworthy and is now registered!. Its been a long haul and there are still minor items to finish, like badges and shims at the 1500klm mark. But last week I found a significant issue in the tank, old rust had started to flake off at a great rate of knots and so I ended up spending hours on the weekend flushing the tank out with rust blaster and then finally re-coating it with KBS Gold Standard.